!!! Attention !!! We made the decision to remove all fees on any deals made on SteamBroker.com! Do not lose the opportunity to trade your skins on this unique bot-less marketplace with ZERO fees! Our marketplace does not use any Steam bot accounts. You transfer items directly to the buyer only when the deal is confirmed, so your skins can not be blocked on our bots. Also Steam can not interfere in our business by blocking our account because we do not have any. Your browser does not support the audio tag. Your browser does not support the audio tag. We announce you our new project. 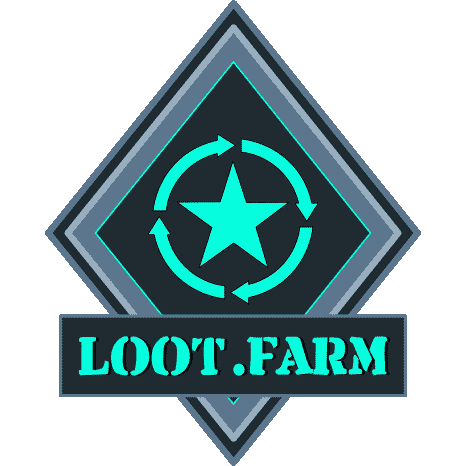 Change your old CS:GO, PUBG and DOTA 2 skins to the new cool skins with LOOT.Farm! Instant and automatic trades with minimal fees. Enter item name of any part of name. All credit card data are transmitted using the secure (encrypted) HTTP protocol according to the current SSL standard. It's absolutely risk-free. Powered by SteamCommunity. SteamBroker.com is not affiliated with Valve in any way.